Hi Monday! Fancy flying a kite? It's so blowy here today that I've just run out into the garden to check my rubbish dump lawn flamingo hasn't blown away (please don't ask; because he doesn't look as if he'd need much encouragement to have his photo taken). But I'm glad of the wind: it's time to get rid of a few cobwebs. I've been stuck in the house for too long! So eager to encourage myself in my day dreaming that yesterday I did something I've never done before: I bought a travel magazine, just so that I could look at the pictures, and wish. Does that sound daft? I'll be honest: I picked it up during the week, and told myself I didn't need it. I put it back on the shelf in the shop and walked away. But yesterday I changed my mind. I looked out at our grey sky, and the wet pavement, and I thought about blue sea and a far away horizon, and I went back and bought my magazine. Go on, tell us what you learned that you didn't know before. It's in your genes. Oh, and have a good week! It's good to dream and you never know, do you? I'm feeling the itch to travel again. Living vicariously through my eldest niece whose IG feed is a treat, full of Australian adventure, on these grey days. I am glad you are feeling better & who knows what adventures February will bring to you. Happy week ahead. Oh! its so good to dream Sian. Dreams are what the future is made of! It's fun to dream! You never know when that lottery win may happen! We have a pile of brochures accumulating on our coffee table, they all have the word 'Italy' in their titles, that country seems to have captured our hearts. ..."curiosity gene", DRD4 - 7R ... that sounds so much better than "itchy feet". The cover of your magazine looks very inviting ... I picked up a copy of The Simple Things purely because I saw it on your Instagram feed ... so there! That looks like a great magazine! We have lots of travel in our future, but no big trips like last summer's to the Canadian Rockies. It's back to Florida with friends in March, then to Chicago for Easter, and to New Orleans for a family wedding in April. I'm really excited about the last trip since the only time I was ever in New Orleans was with my family when I was in fifth grade; just a few years ago. I'm always torn about being away so long, but grateful we have the time, good health, and the finances to travel. Happy week to you, too! It's always fun planning a holiday especially when the weather is so grim. I love looking at holiday brochures and dreaming. That is what life is all about AND a holiday is far more enjoyable if you have time to anticipate it and dream what you are going to do. 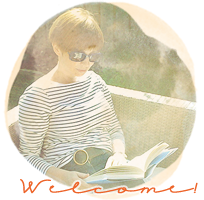 I've not only not read any blog posts but not written any either, so perhaps this is the nudge I need to catch up! I LOVE reading about travel and adventures so yes I must have that gene a plenty. I have a big wallet of places I want to venture to. Most are in the UK. My dreams are realistic so fingers crossed some can be achieved this year. Happy planning and dreaming. I hope you achieve yours too. I've just sorted through a stack of 3 years of travel magazines - most of them going into the recycle pile. But several have post-it notes peeking out - so there's still hope. More dreaming than planning so far, but that is the beauty of winter hibernation. That magazine looks good - might have to see if I can get a copy! I've not been up to much this weekend so not doing a post today. Hopefully next Monday as I know I have something interesting to learn next Saturday! I love that!! a curiosity gene! I am going to share that with my dear friend and travel buddy...we are always dreaming and talking about holidays. In fact...we are on the count down to the UK and Northern Europe in May....can not wait!! 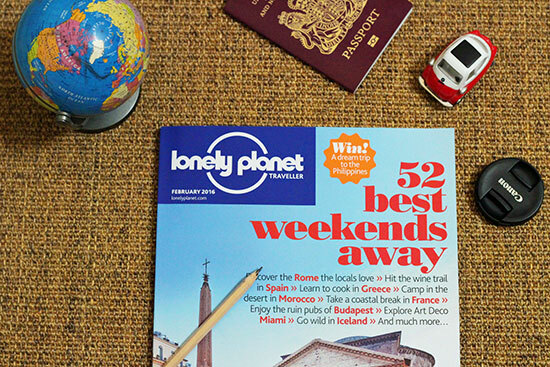 Hopefully your magazine will inspire some future travels. It has been really blowy here for the last few days - I hope your flamingo doesn't fly away!! No exotic cruises for us this summer - we are revisiting the Shetland Islands and the Orkneys - we went by coach about 15 years ago and always swore we would go back under our own steam. So I am now trying to match up ferry crossings with when hotels can fit us in, especially as there isn't a daily ferry between Orkney and Shetland - the pieces of the jigsaw are slowly falling into place!! I never knew about the curiosity gene - how on earth did they discover that!! Have a great week, I've given you a wave! I have a pile of traveling guides right by me. That looks a really interesting magazine - I may have to seek it out too! I think I have the gene but the rest of my family don't :( Booking a holiday this week for us all certainly highlighted that but I've put my foot down and said we are having some adventure next year!!! Dreaming about vacations and places to go is one of my favourite things to do. curiosity gene or wanderlust or cabin fever - I think we all have it at times, but not at others. I'm very surprised that only 20% are considered to have the gene though. Even my husband who is the consummate homebody gets the itch to travel now and then. We've got a big trip coming up - Japan and Shanghai in May! And lots of small trips up and down the California coast. It's the perfect time of year to be fantasizing about little adventures away. 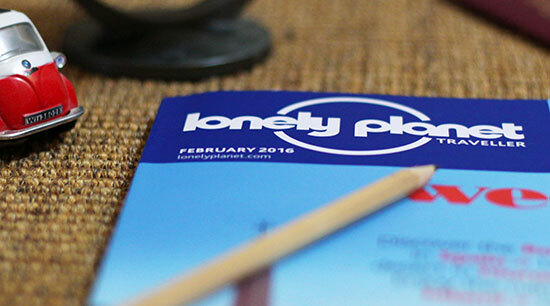 I enjoy flipping through travel magazines & dreaming & planning new adventures! So sorry to have missed Memorandum Monday this week, but I have something new to share tomorrow if I can get it together! Travel mags are always great for sparking ideas. Speaking of future holiday plans, just booked 2 more cruises (2018) when we were on last weeks cruise. Thinking of one more in fall of 2017.